Kevin Plawecki | We Gotta Believe! The Philadelphia Phillies (62-97) defeated the Mets (89-70) by a score of 3-0. 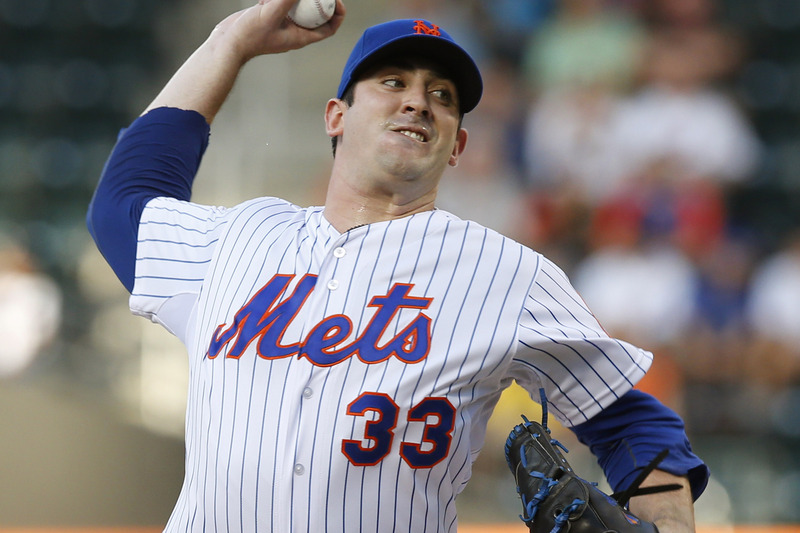 Sean Gilmartin was strong for the Mets in 5 innings, the only blemish being a 2-run home run allowed to Darin Ruf. The offense managed only 6 hits off Jerad Eickhoff and the Phillies bullpen; 3 by Kirk Nieuwenhuis, 2 infield singles by Kelly Johnson, and a single by Ruben Tejada. Jerad Eickhoff was in control all day for the Phillies, allowing only 4 hits, walking 1, and striking out 10 while shutting the Mets out over 7 innings. The Mets’ best opportunity came in the 7th, after a 1-out double by Kirk Nieuwenhuis and a 2-out walk by Kevin Plawecki. However, Juan Lagares struck out on a 3-2 curveball to end the threat. Sean Gilmartin was solid for the Mets in his first career start, allowing onlyh 3 hits, a walk, 2 runs, and a home run over 5 innings while striking out 3. Unfortunately though, that home run, a 2-out 2-run shot by Darin Ruf in the 4th inning, proved to be all the Phillies would need. Tim Stauffer was strong in two shutout innings of relief and Dario Alvarez allowed a solo home run to Andres Blanco, but it didn’t matter. On a day where a hangover lineup was called for, no one could muster anything against Eickhoff, Jerome Williams, or Luis Garcia. This could’ve been expected, especially after such a late loss last night. Gilmartin and Stauffer were pleasant surprises in their combined 7 innings of work, but the offense was absolutely lifeless. What bothered me were the pinch hitting opportunities not utilized by Terry Collins. I understand he wants to give his regular players a day off, but when Eric Young Jr. and Dilson Herrera are your two pinch hitters from a bench that includes Daniel Murphy, David Wright, Lucas Duda, and Curtis Granderson, it’s a little tough to justify your desire to win the game. In the 7th inning, with 1st and 2nd with two outs, it should have been Granderson, Murphy, or Duda facing off against Eickhoff (or a lefty reliever, if they decided to make a switch). I find it tough to believe that these veteran professionals could have their playoff performances compromised by one plate appearance. But, these are small annoyances. After the rest day today, one would imagine that Terry will go with his regular lineup the rest of the weekend, perhaps with an extra righty or two against Gio Gonzalez. The Mets fans certainly have to thank Mike Leake and the Giants for keeping their home field advantage hopes alive – Leake spun a 2-hit shutout last night, reducing the Mets home field advantage magic number to 3. The Giants look to take 3 of 4 from the Dodgers this afternoon at 3:45, with Brett Anderson facing Tim Hudson. 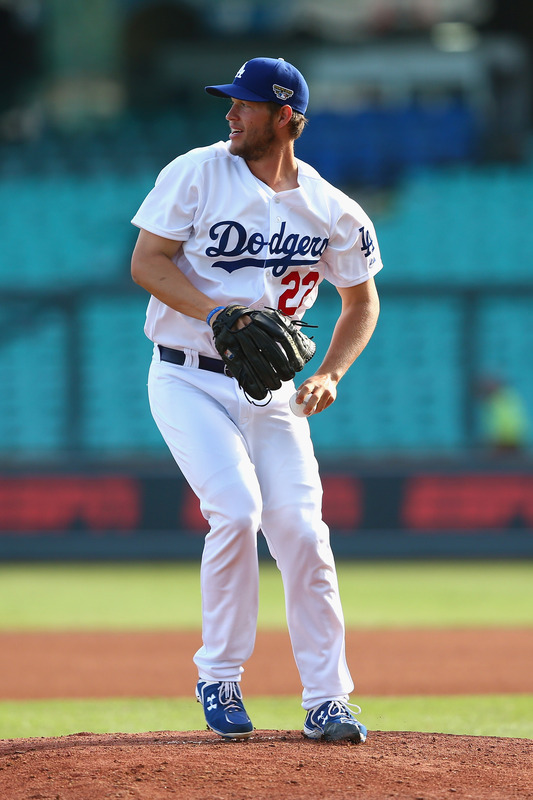 A Dodgers win would bring L.A. to the same record as the Mets, but as a reminder, the Mets do own the tiebreaker. Noah Syndergaard faces Gio Gonzalez tomorrow at 7:10 at Citi Field, weather permitting, as the Mets open a 3-game series against the Nationals. 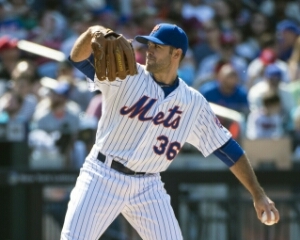 POSITIVES: Sean Gilmartin and Tim Stauffer were both solid today with better-than-expected performances. Dario Alvarez, while allowing a home run to a right-handed batter, also retired the only lefty he faced. Kirk Nieuwenhuis had 3 of the Mets’ 6 hits, but despite 2 doubles, was never able to score. NEGATIVES: The offense, save for Nieuwenhuis. The manager’s decision to pinch hit Eric Young Jr. and Dilson Herrera in a close game that means something. The decision to remove Michael Conforto in a close game, and not for a better bat. 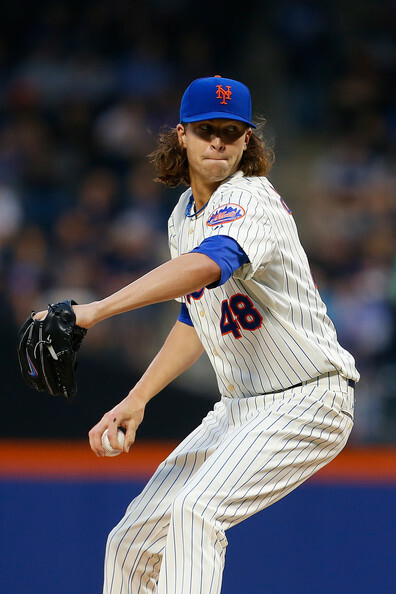 The Mets (89-69) take on the Philadelphia Phillies (61-97) at 12:05 at Citizen’s Bank Park in Philadelphia. Sean Gilmartin (2.58 ERA, 2.53 FIP, 1.22 WHIP, 52 1/3 IP over 49 relief appearances) faces off against Jerad Eickhoff (3.07, 3.66, 1.09, 44 IP over 7 starts). For Gilmartin, it marks the Rule 5 selection’s first major league start. 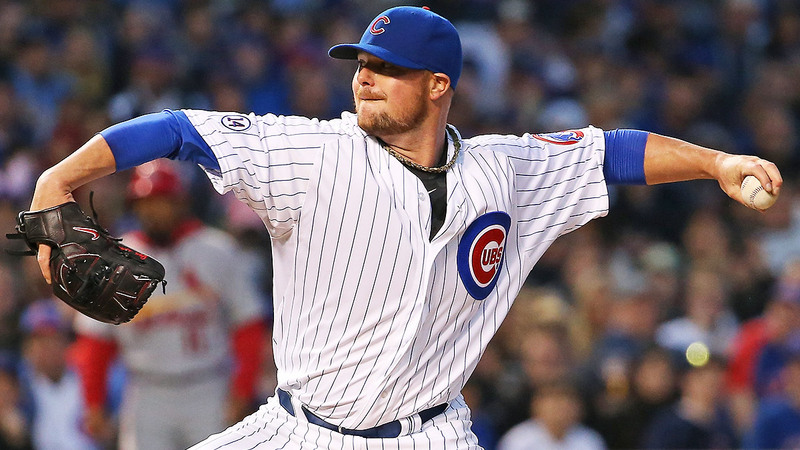 He will likely be followed by veteran starter/reliever Tim Stauffer in relief. With a tough loss last night and only 11 hours between games, the Mets are sitting all regulars except for Michael Conforto and Ruben Tejada (only Conforto started last night). This gives the Mets secondary lineup another chance to get a big win – a lineup of many of the same characters beat Cincinnati 8-1 on Sunday. Yoenis Cespedes is out after being hit in the hand by a pitch yesterday (contusion) and Wilmer Flores is out with lower back stiffness. David Wright, Travis d’Arnaud, Curtis Granderson, Lucas Duda, and Daniel Murphy are getting the day off. Sean Gilmartin gets his first major league start today in place of Steven Matz, who is out due to right side stiffness. The team hopes to pitch Matz at some point this weekend, otherwise Matz’s NLDS roster spot may be in jeopardy. Gilmartin has had reverse platoon splits this season; righties have a .237 wOBA against him while lefties have a .306 wOBA (though even that number is solid, especially considering he’s a rookie Rule-5 selection that had not pitched out of the bullpen prior to this season). Part of that discrepancy could fall in BABIP and batted ball rates – 25.6 percent of batted balls from righties have been softly hit, while only 17.9% to lefties. That could explain a .358 BABIP to lefties versus a .282 BABIP to righties. Gilmartin has above average strikeout and walk percentages for relievers (23.6% and 7.9%, respectively), but has a way-below league average .17 HR/9 allowed (the league average is .94, suggesting good luck for Gilmartin). Gilmartin has only allowed 1 home run in his 52 1/3 innings of work. Jerad Eickhoff has been very good in his 7 starts with the Phillies this season. Eickhoff, acquired from the Rangers in the Cole Hamels trade, has a 3.07 ERA over his 7 starts. Part of that, however, can be explained by a low .256 BABIP which is due for at least some regression. Eickhoff has neutralized righties very well, to a .227 wOBA in 97 plate appearances, but has struggled more against lefties (.348 wOBA in 80 plate appearances). In those 80 plate appearances, Eickhoff has allowed 8 walks, a double, 2 triples, and 4 home runs. The Mets, while without 3 of their 4 regular lefty bats, will look to take advantage with Kelly Johnson, Michael Conforto, and Kirk Nieuwenhuis. In his two starts against the Mets this season, Eickhoff has allowed 7 runs (6 earned) over 13 innings pitched, striking out 10, allowing 10 hits, walking 3, and allowing 2 home runs. The Mets won both games.